Caption for Selfie With Friends : The people help you laugh and support you through life’s ups and downs they are called friends. In good or bad you will always get them beside you. While spending good times with friends snapping selfies or group photos together is a must to preserve some joys moments with best friends. 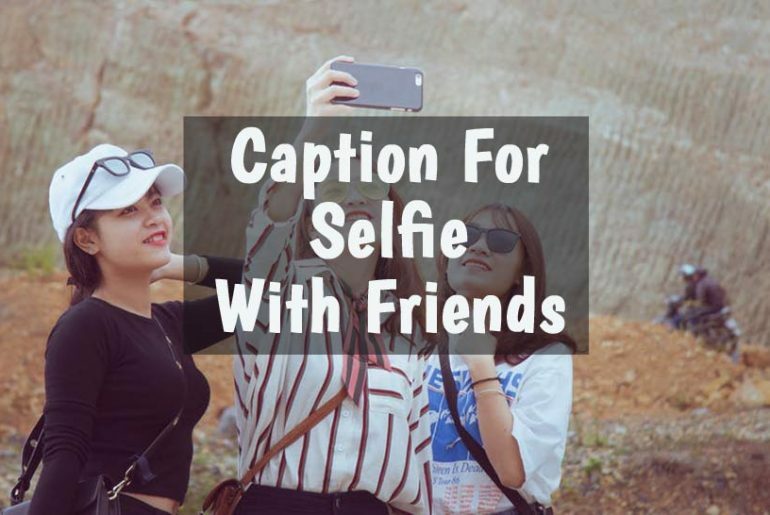 Here is some really good caption for the group selfie with friends along with the funny caption for friends group photo which you can post on Instagram, Facebook, Twitter, Whatsapp, Snapchat or anywhere you like to share. Now, choose from the best list of the caption for selfie with friends and group photos that are divided into the various section below. True friendship and close friends are the most precious things in our life. There is nothing that makes our world seem so spacious as to have friends to enjoy everything. 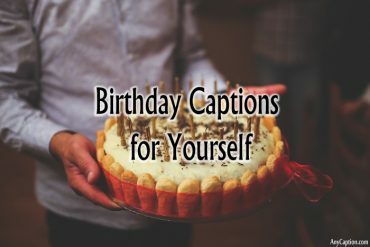 Let your friends know what they mean to you by putting one of these captions under the selfie or pictures of yourself with your friends on Instagram or Facebook. Are you thinking we’re weird? Your IQ is too good! We’re more than friends. We’re like a really small gang. Forever and always we will be sticking like this. I am lucky to have a bunch of crazy friends like you! Friends are the people in your life that make you laugh louder, smile brighter, and live better. Friends are those with whom you can be openly weird and sarcastic without the person being offended. My true Valentine isn’t my lover, but the person always right next to me. There is just one thing common between all the faces…. We all are crazy and funny….. Each one beats another one. Life is fun being with good friends. Whatever they are your childhood friends, school friends, neighborhood friends, college friends, work friends or best friends. You should admire their ability to laugh with you or laugh at you and thanks them for bringing something new into your life every day. 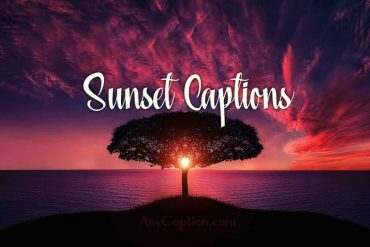 Try these funny captions to show the fun of your life with friends. 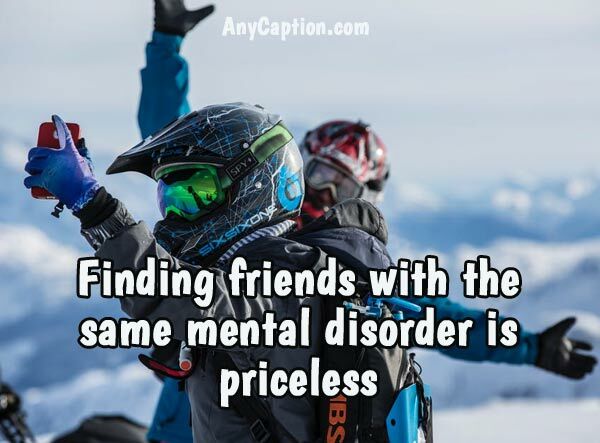 Finding friends with the same mental disorder is priceless! They are always there when I am rejected and dejected…. Sometimes I wonder are they the reason for my failure….lol…. Kill me not! God made us best friends because he knew our moms couldn’t handle us as the sibling. The one with whom you can be mad for a while because you have important things to tell, is…. 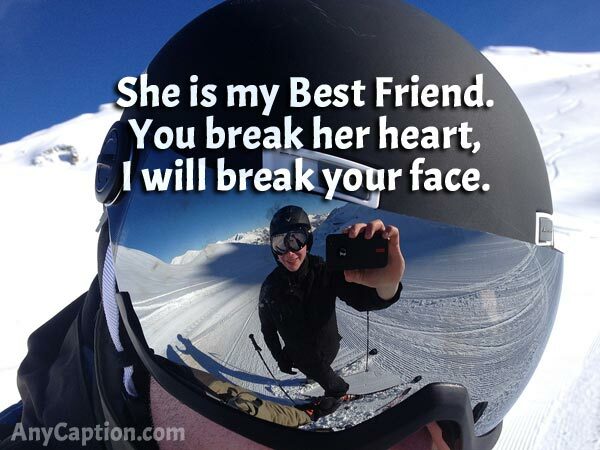 best friend forever. One moment that makes a regular day a special one is one weird conversation with your gang of mad souls. When a group of best friends meet..the humor is higher than a comedy show. I’d take a bullet for you—not in the head, but like, the leg or something. Best friends… they know how crazy you are and still choose to be seen with you in public. Near or far, a caring friend always hold a special place in the deep corner of the heart forever. Actually, friends are the reason why people still able to carry on living like there’s no tomorrow. This is why the best things happen when a group of friends gets together. Hope yours also. 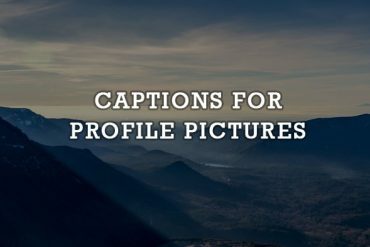 Browse these group photo captions for friends and surely you will like them. We are crazy and we know it. And now you do too. True friends never let their friends do stupid things alone…. That’s what makes us one complete gang. When the best of the friends meet, they create the most beautiful memories together! We are friends because we are blessed with the same mental disorder…. Always united…. Truly priceless. Our tribe is connected because of our vibe…. Cheers pals! My friends rock… Life is sweet with friends like you! We are bonded today and we will be bonded tomorrow…. Even as ghosts in some other world! This one picture shows so much of love and bond between the friends for life. Post a selfie with your friend on Instagram and use a caption that shows you are happy and grateful to have them beside you. 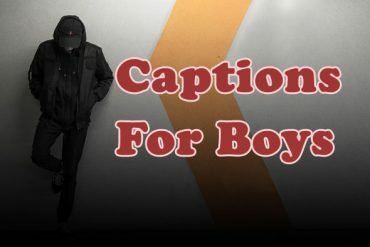 You may choose one from here and share with your friend on Instagram whom you treat like a brother from another mother or sister from another mister. We connect and bond because we make the best of the fools together and we all enjoy it thoroughly! Behind every successful man/woman is a best friend giving his/her crazy ideas. None of us can be serious as life is all about doing crazy stuff together…. A picture with the bunch of stupid people who always make me smile. We all love to keep smiling because we know life is so beautiful and there’s so much to smile about. They never let me live in peace as they don’t like me being boring…. Thanks for bringing colors to my life each and every day. If I am talking, they want to shut me up and if I am not talking, they are all tensed… Love you my darlings. Having good friends to share life with is a special gift from God. Every friendship has something special and unique. What about yours? 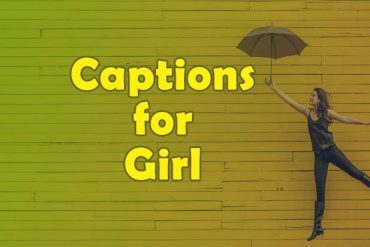 Let your thought be expressed by these captions and make a post on Facebook by uploading a cute selfie with your friend. Nobody really likes us… except for us. Together forever, never apart, maybe in distance but never at heart. I and my best friends can communicate just with …… face expressions. Clicked the rainbow of my life that makes me happy, motivates me and brings out the best in me…. Love you, my dear friends. 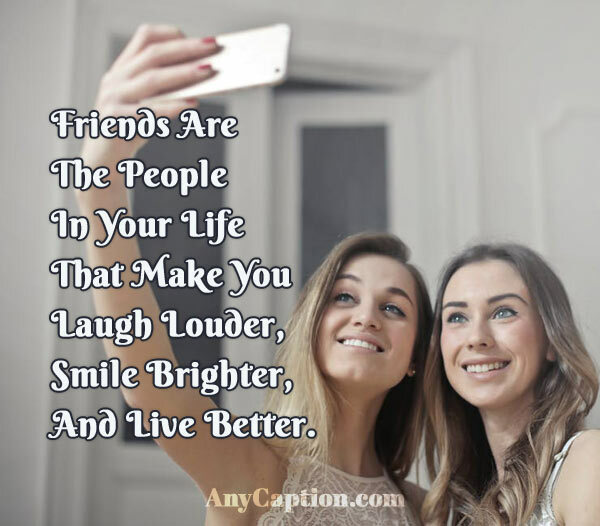 We hope you will like to share these captions for selfie with friends with those people in your life whose friendship is special beyond compare. We all know, a true friend is hard to find. So when you do find one, hang on tight!